With such a busy schedule, an overflow of stimulation (computers, phones, televisions, etc.) and an abundance of options, where I’m able, I prefer to make simple choices at home, at work, and especially with my fashion selections. Workday mornings are a bit hectic therefore I choose to live in basics, such as solid t-shirts, denim jeans, cozy knits but dressed with impactful pieces such as a statement necklace, chandelier earrings or luxe materials such as a faux fur coat or delicate lace. 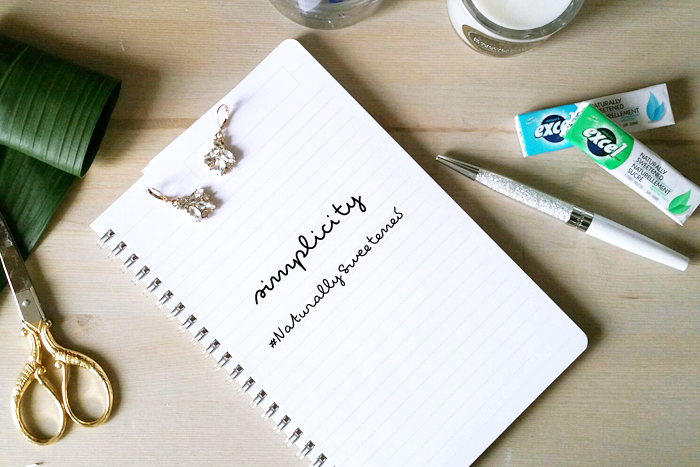 Making these simple daily choices I love has been a great addition to my daily routine! 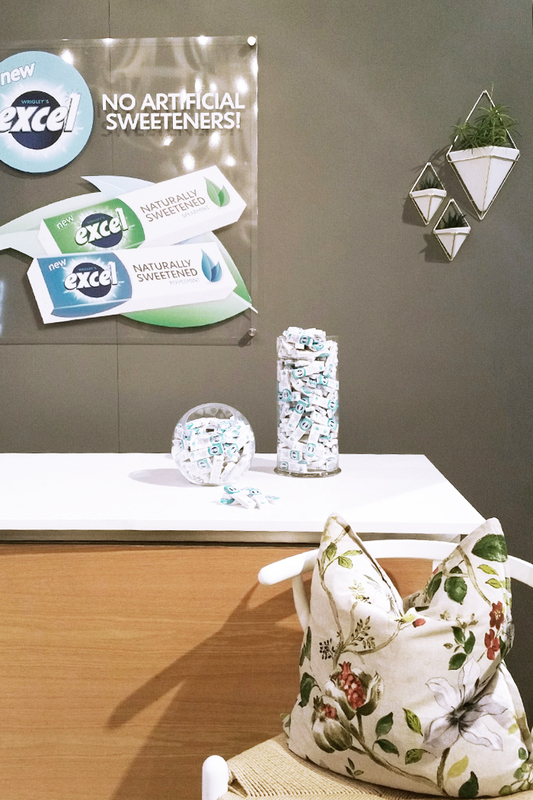 Over the last couple of weeks, I partnered with Excel for the launch of their new Naturally Sweetened gum. Just like my effortless daily fashion choices, choosing Excel Naturally Sweetened gum is an easy choice you will love. I love this new gum that is made up of simple ingredients without artificial sweeteners, colours of flavours. Whether it is sticking to wardrobe basics or adding simple ingredients to a recipe, what are some simple choices you make every day that you love?! This past weekend, I also visited the Excel Naturally Sweetened Lounge designed by the talented design guru and host of Love it or List it Vancouver, Jillian Harris at the Interior Design Show in Toronto. Jillian showcased the ultimate experience in fresh style and taste through simple design choices such as decorative throw pillows, white geometric chandeliers, indoor air-plant planters, and serving up gourmet coffee and charcuterie followed by Excel Naturally Sweetened gum – to keep that breath fresh! I really enjoyed attending the Lounge and gained some new design perspectives. We’re faced with choices and decisions every day, but hey, it doesn’t need to be complicated, right? I encourage you to simplify the daily choices you make in life and try @ExcelGumCA new #NaturallySweetened gum with a burst of refreshing flavor! Where is that pretty little bra from?! Hi Amanda! The bralette was a bridal shower gift and it was purchased from Victoria’s Secret! SO pretty right? !